I’m excited to have my first guest post today. Tim Fall, a faithful blog reader and commenter, had some thoughts that he wanted to share. I have enjoyed reading his numerous guests posts on other blogs, and I was glad to give him this platform, however small, to share his ideas. Enjoy! Everyone wants to be wanted, right? We hear this all the time. But there are times when the reality of being wanted isn’t all it’s cracked up to be. 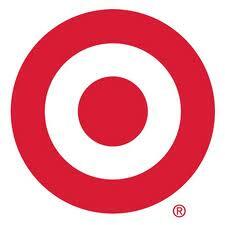 Forbes recently ran an article about some freakily accurate target marketing at – where else – Target. Based on your shopping habits, the store will send advertisements and coupons that – with reasonable accuracy – fit your lifestyle. How accurate? They do such a good job of identifying pregnant mothers, they can get right down to the trimester the mothers are in and the month their babies are due. So Target decided to hide the ball; the catalogs still have all the baby items, but they are alongside unrelated marketing pitches such as lawn mowers. A target employee was quoted saying, “we found out that as long as a pregnant woman thinks she hasn’t been spied on, she’ll use the coupons.” Hmm. “Thinks she hasn’t been spied on.” Who’s wild about being wanted now? Of course, being wanted, even being targeted, isn’t so bad if it works out well for us. But it’s not always profitable in the end. “Be alert and of sober mind. Your enemy the devil prowls around like a roaring lion looking for someone to devour.” (1 Peter 5:8.) I’ve read that verse a number of times over the years, but this news article has given me new insight to its meaning. Satan sees us. He watches our actions, discerns our habits, and designs temptations for us. He targets us. He sends us spiritual ads and coupons for discounted ways to please him. He likes nothing more than to steal a shopper away from the storehouse of spiritual gifts our heavenly Father has for us. Satan knows his targets well. How does Satan target you? Consider what he sees you do with your time, your money, your family and friends. You may be doing things that are perfectly all right in and of themselves, but that doesn’t mean Satan is not taking note to see if there is a way to draw you into temptation and ultimately sin. After all, he “prowls around … looking for someone to devour.” He’s looking for it! What hope do we have against such a powerful adversary? How can we escape his schemes? How do we keep from becoming his targets? Well Satan may be a prowling lion, but that does not mean that he is the most powerful cat in the jungle. Jesus promises that once his, he will never let you go. We are his target. So what can we say now about wanting to be wanted? When you are Jesus’ target, it’s a good thing. And he hits his target every time. Kim, thanks so much for giving me a spot here at Kingdom Civics! Tim, thank YOU for sharing your thoughts. I loved how you mentioned the image of Jesus as a shepherd because as I was reading your words up to that point, I kept picturing the parable of the shepherd leaving the 99 sheep and “targeting” the one. It didn’t make financial sense for a shepherd to leave 99 sheep unprotected to go after just one; instead, his decision reflects the immense love that the shepherd has for each individual sheep. I am so thankful that God views us that way and that He “targets” us despite all of our flaws. Awesome Kim, that is right on with how I see Jesus in all this targeting too! Great thoughts, Tim. It’s very screw-tape-letters-esque, and true. We are all stupid to the fact that Satan is cunning. It’s his best trick. Exactly Nick, and “stupid” in the original sense of the word. We are confounded to the fact that Satan is real and he wants to devour as much of God’s creation as he can, including God’s people if that were possible. I am so glad you came by to check out Kim’s blog here. Awesome article, Tim! That really got me thinking. I love the turn around of how the Great Lion targets us despite our habits. So true. In regards to the target adds, I always notice how the advertisements on Facebook are targeted to the recent comments I have made. Talk about feeling stalked! I once responded to a status about teenagers wearing push-up bras and found breast implant advertisements on my wall. Sheesh! Thanks for taking the time to read this Aimee. You are so right, it really is a turn around. Then again, that makes sense since Satan constantly tries to imitate Jesus. Speaking of targeted ads, do you remember the first guest post I ever did, the one at Jenny’s blog about interracial marriages (http://www.jennyraearmstrong.com/2011/12/02/how-does-god-really-feel-about-interracial-marriages-or-what-year-is-it-people/)? Right after that google started putting ads on her site for a dating service targeting interracial couples! Thinking in terms of spiritual protection made a lot of sense to me (though I didn’t see it at first), especially considering the physical persecution the disciples endured later. It is comforting to know that, despite anything Satan can throw at us (I think of what happened to Job), God does protect and strengthen us spiritually (though I believe that He does help us with our physical troubles too). Anyway, good post Tim. I totally agree. Bek, great insights, and thanks for the cite to 2 Chronicles 16; that is so awesome how under both the Old Covenant and New Covenant God seeks those who are his. Whether it is a worldly attempt to target us or it is Satan prowling around, the passages you found really show us that God is watching out for us even if we don’t know the danger ourselves. interestingly enough, it seems that when we are in unity and in love, dwelling in His truth, it is easier to withstand the arrows of Satan. Good point, Ann. God gave us each other for many reasons, and withstanding Satan’s arrows is certainly one of them! Tim, Love how you compared the targeting practices of the big-chain store to Satan targeting us. It is a good reminder. When we are on God’s side we are the victors but we ought to remind ourselves how smart the enemy is. He’s been studying humans since the beginning of time. “He’s been studying humans since the beginning of time.” That’s a great insight, Jane! The idea that Satan is stuck with studying us to try to know us while God has the infinitely superior benefit of knowing us because he created us just shows how much Satan falls short compared to our Savior. I am really glad you came over to Kim’s blog to take a look at this. Courtney, thank you so much for passing this along. It reminds me what a blessing God’s timing really is. And as for attitudes, yours now has been one of encouragement for me! Tim, this reminds me of The Screwtape Letters. At one point, the older demon (is it Wormwood? Or is Wormwood the younger demon?) says to the younger demon, “You let him read a book?? !” Basically, he tells the demon, idleness is good — wasting time is good — but indulging in something that brings pure delight (in this case, book-reading) brings a human closer to God. I often think about this when I’m idly surfing the internet, looking through Facebook, or watching TV. Remembering that the enemy IS prowling like a roaring lion is helpful in deciding what to do (or not to do) with my free time. Good point about keeping in mind that our enemy is on the prowl even if we think we are doing something that is idle. Perhaps there is no such thing as mere idleness, for either it will be used by God or used by Satan. Luke 16:14 and serving two masters comes to mind. Thanks for taking the time to drop in at Kim’s site, Rachel. I know things have been crazy busy for you; perhaps when you have one of those moments when the internet calls you’ll get a chance to check out more of her blog here. I’ve found it really worth my time (much like your own site has been!). I love that distinction between idleness and enjoyment! My own experiences completely validate Lewis’ point. When I waste time, even for a few minutes, I always walk away convicted. But when I truly enjoy a moment–such as playing on the ground with my children even though I “should” be doing some chore–I find that I can. not. convince. myself that I am doing anything wrong. And I love the phrase “pure delight.” Yup, that sums it up! Thanks so much for your comment! I struggle with this one at both ends. Satan knows how to use laziness to make me completely ineffective. However, he also knows how to keep me so busy that I think I don’t have time to pray about the things I am working so hard to get done. And then, when I am experiencing these issues, he smacks me with guilt on top of everything else because I am either doing something I shouldn’t be doing or NOT doing something I SHOULD be doing… even when the thing I am doing is something that really needs to be done. bek, I know what you mean. When I get that type of feeling I also know it must be Satan since God never makes his children feel bad according to Romans 8:1. (And speaking of Romans, your comment here is very Romans 7-ish. Nice touch!. Really busy, not at all busy, or somewhere in between, we have freedom in Christ to be whichever we want. I can get really busy, but my default mode is to stop and smell the roses along the way. This was excellent. Great correlation between the targeting of coupons with pregnant women and how Satan will be on the prowl to attack us when we are most vulnerable. Thanks Victoria. I think it’s amazing that things we see as benign standard operating procedure can actually have malignant aspects. You talk about this a lot at ruby eyed okapi, I know, especially in the context of those who are most vulnerable. I’m glad you could join the discussion here at Kim’s blog too!